If you missed FFL President Serrin M. Foster’s interview on SeriusXM Radio Channel 129 with Father Matt Malone and Kerry Weber as they discuss her recently published speech, “The Feminist Case Against Abortion,” on “America This Week” Get ready for Roe. Hear a portion of the interview on America’s podcast and read her speech!! Thousands of Midwesterners will gather at Federal Plaza for the March for Life Chicago. 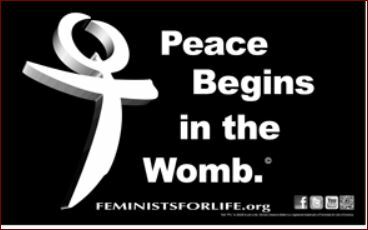 It starts at 2 PM but please arrive early to receive your free FFL “Women Deserve Better than Abortion” and “Peace Begins in the Womb” placards as you affirm the dignity of women and the gift of every child at the largest pro-life event in Illinois. On the 42nd anniversary of Roe v. Wade and Doe v. Bolton decisions, meet and March for Life with FFL at the largest pro-life rally in the country. Look for FFL at 14th Street and Madison–near the starting point for the March. We also really need volunteers to help distribute placards and take turns holding our banner! Contact info@feministsforlife.org to meet and march with us at the mall of our Nation’s Capitol. If you can’t join us on the Mall, watch for us on EWTN for live coverage and hears us on SiriusXM, the Catholic Channel. 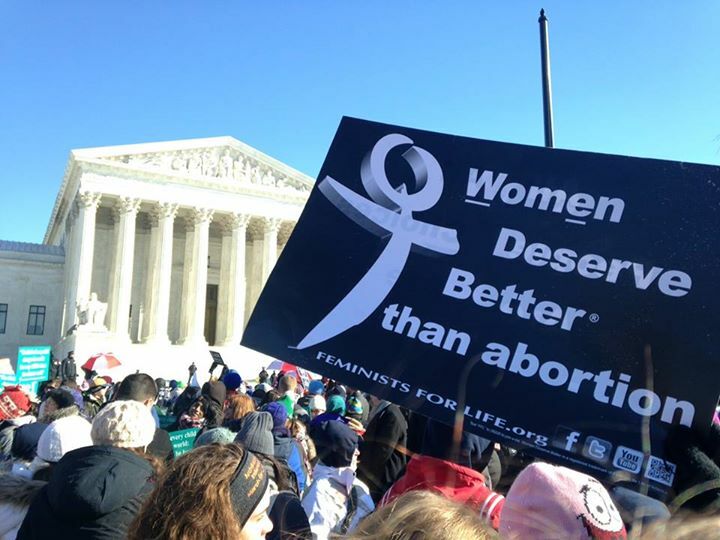 Come early to the Walk for Life West Coast and pick up your FREE FFL “Women Deserve Better than Abortion” placard which reads “All People Are Equal. 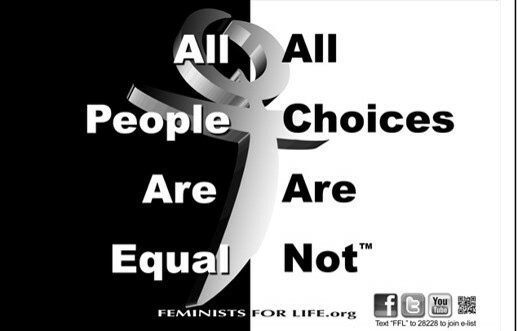 All Choices Are Not.” Then g o to the FFL booth and meet FFL Board Member Patrick A. O’Kane, (our immediate past Chair of the Board), and our other volunteers at our booth at the Walk for Life West Coast. If you are able to help Pat distribute materials at the FFL booth, please contact info@feministsforlife.org. If you can’t make it to the walk, watch for us on EWTN for live coverage. With every step we take, we walk in the shoes of our feminist foremothers who were pro-woman and pro-life! are a registered trademarks of Feminists for Life of America. 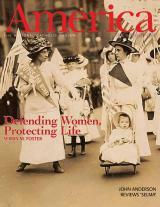 Feminists for Life of America is a 501(c)3 nonprofit. Membership contributions and donations are tax-deductible to the extent allowed by law.